(Newser) – Randy Bilyeu thought he knew where Forrest Fenn's treasure was. But instead of being the first to find the $2 million haul of jewels believed to be buried somewhere in New Mexico, he ended up being its first victim. Police confirmed Tuesday that the remains of the 54-year-old grandfather from Colorado, who disappeared in January, were discovered along the Rio Grande west of Santa Fe by a US Army Corps of Engineers crew working in the area, the AP reports. Bilyeu, who quit his job in 2014 to search for the treasure, told a friend in early January that he had finally figured out its location, 5280.com reported in an in-depth look at the disappearance earlier this month. 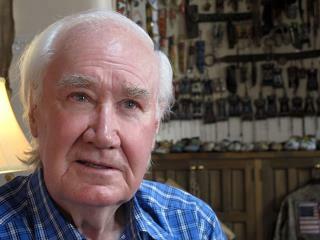 But Fenn, who says the clues to the location are in a cryptic poem in his 2010 memoir, says the treasure is in the Rocky Mountains, not Frijoles Canyon, where Bilyeu thought the treasure chest could be found. The only thing you leave when searching for buried treasure are empty holes. The only thing you find is fool's gold.